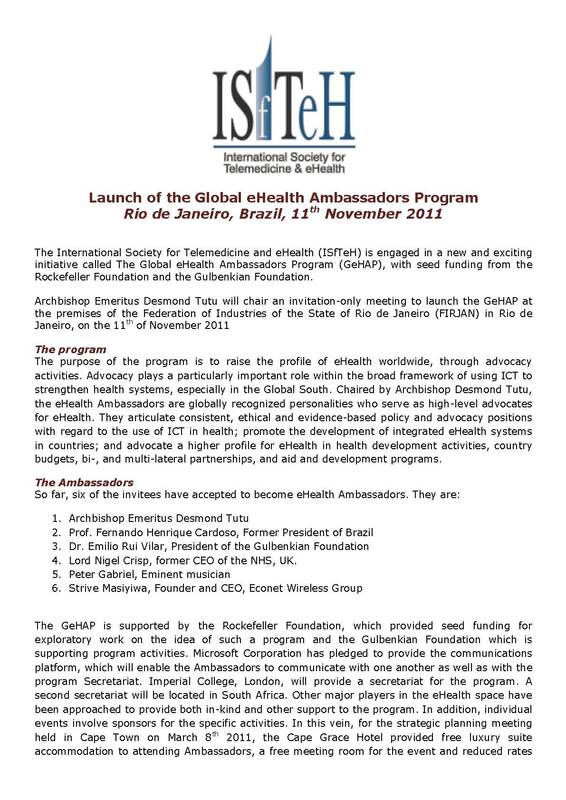 The International Society for Telemedicine and eHealth (ISfTeH) is engaged in a new and exciting initiative called The Global eHealth Ambassadors Program (GeHAP), with seed funding from the Rockefeller Foundation and the Gulbenkian Foundation. 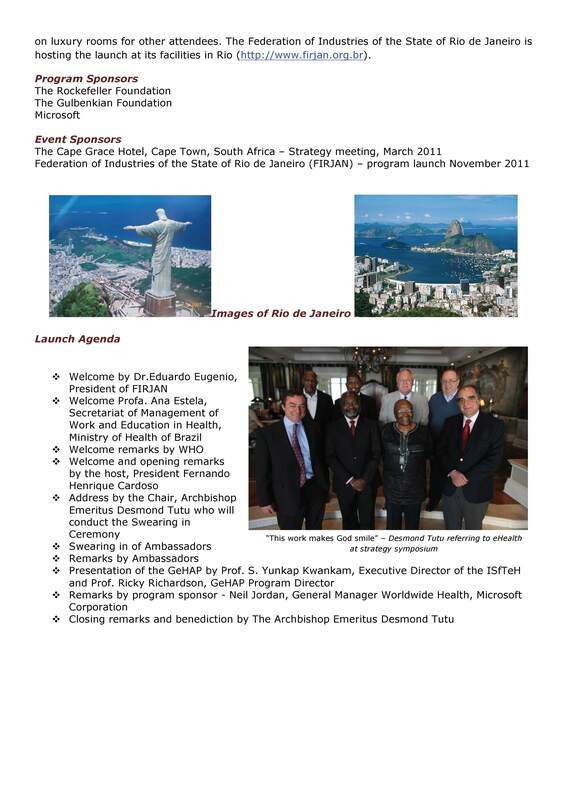 Archbishop Emeritus Desmond Tutu will chair an invitation-only meeting to launch the GeHAP at the premises of the Federation of Industries of the State of Rio de Janeiro (FIRJAN) in Rio de Janeiro, on the 11th of November 2011. Please click on the attached pages below to learn more.